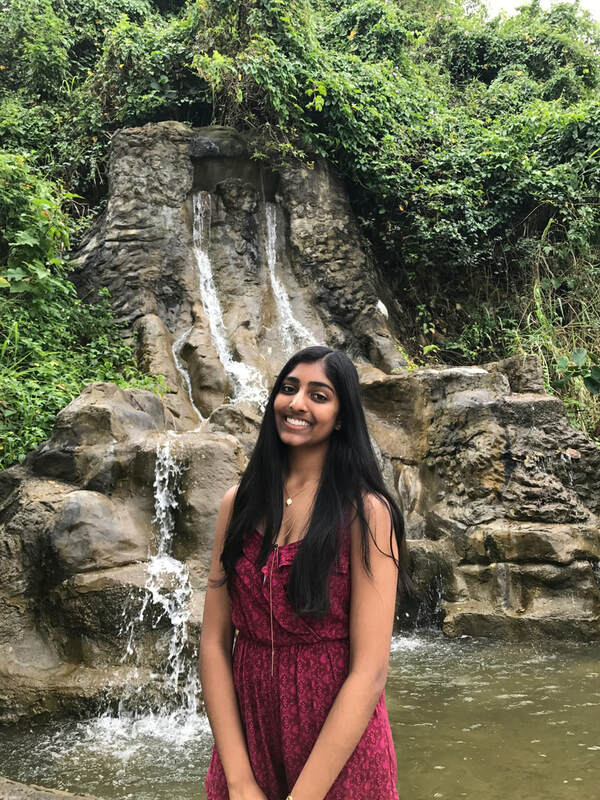 Sarina Krishnan is a current junior at The Bishop's School located in La Jolla, California. She is the founder and president of Pathways to Assimilation and committed to improving the lives of refugees all across the world. After seeing the huge refugee population in her hometown, Sarina was inspired to aid them in their assimilation to the American culture. She is a strong advocate for racial harmony and hopes she can empower refugees to embrace and celebrate their culture and identities. She is often seen socializing with friends, or baking. Nikita Krishnan is a freshman at the University of California, Berkeley. Her innovative, unique work in her own non profit venture, Creature Comfort and Care, makes her an invaluable asset to our team. She has a passion for animals and humans alike, and brings her creativity to the table. She helps plan and coordinate meetings with tutors and refugee students. In her free time, she enjoys spending time with friends, reading, and immersing herself in philosophy. Ketia Mukenge came to the United States as a refugee in 2015 and currently attends Lincoln High School as a junior. She is passionate about helping refugees because she, too, came here as a refugee and can empathize and relate with them on a personal level. Ketia has a genuine love and passion for helping people and believes joining a non-profit like Pathways to Assimilation will kick-start her dream to help all refugees. Ketia ultimately wants a career involving assisting people as she believes community service is crucial to changing the world in a positive way. ​Layla Moore is a current senior at The Bishop's School and is an avid team member of Pathways to Assimilation. She is fluent in both Russian and Spanish which makes her an invaluable contributor to our team. As a result of her Ukrainian roots, she understands how to teach English to refugees in a clear and concise manner, and can also empathize with them on a deep linguistic level. She has competed to the highest level of gymnastics, and currently pursues dance and a study of entrepreneurial business and economics. Emily Chen is a current senior at The Bishop's School and the Head of Communications here at Pathways to Assimilation. With prior work experience in the All Girls Stem Society, Emily brings her knowledge of social media and event planning to the table. In her free time, Emily coaches children in tennis which gives her the patience and collaboration essential to Pathways to Assimilation. She hopes to pursue a career in business and economics.